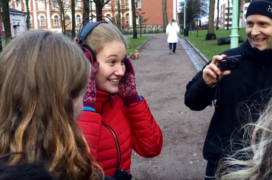 A visual arts group from the Kallio upper secondary school of performing arts in Helsinki attended the Interpretations of Urban Space workshop. The workshop was instructed by the actor Veera W. Vilo. 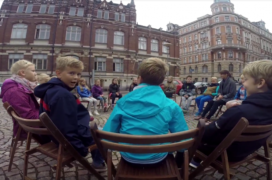 In the Interpretations of an Urban Space workshop, upper secondary school students examined architecture from the perspective of a location’s spirit and then looked for inspiring places in downtown blocks. 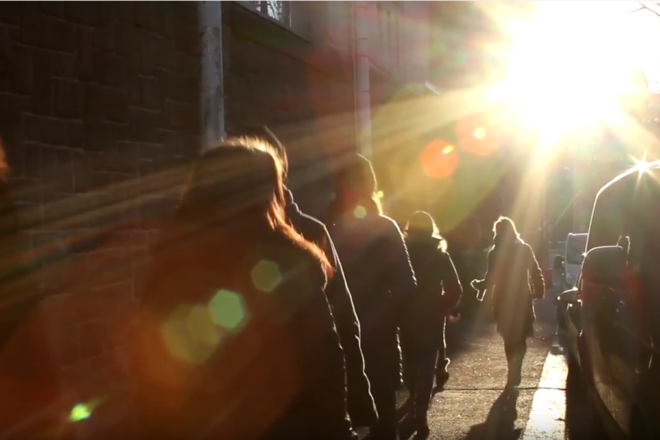 Urban spaces were explored through a multisensory approach and by utilising the methods of site-specific theatre. Based on the experiences, the students drafted scripts for small performances inspired by the spirit of the location and then carried them out at the location. The sources of inspiration included the gurgle of water echoing in an entrance passage, the dirty surfaces of a facade recess and an abandoned janitor’s apartment. The scripts also left room for improvisation.